Multitasking is one of the most frequently used words in job postings and therefore one of the most sought-after skills of the world of work. Yet most people don’t understand what multitasking entails. According to numerous studies, the multitasking demands of modern professional life are causing massive frustration and meltdowns for professionals everywhere. However, the problem is not multitasking. The problem is the assumption that multitasking means being reactive to all incoming stimuli and therefore jumping around from one task to another as the emergency of the moment dictates. Such a definition of multitasking would leave you feeling that wild horses are attached to your extremities and tearing you limb from limb. Instead, multitasking abilities are built on sound time management and organizational skills. 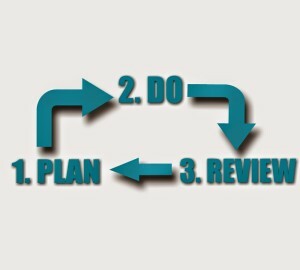 These three building blocks are more easily achieved than you’d imagine with the Plan, Do, Review Cycle. What happened: a.m. and p.m.? What went well? Do more of it. What went wrong? How do I fix it? What projects do I need to move forward tomorrow? List all tomorrow’s activities and rank the importance of each one. Make a prioritized To Do list, with every activity rated A, B, or C.
Stick to the prioritized list. Doing this at the end of the day keeps you informed about what you have achieved, and lets you know that you have invested your time in the most important activities today and will do the same tomorrow, so you feel better, sleep better, and come into the office in the morning focused and ready to be productive. What Should Professional Resume Writing Services Cost?When is the Best Time to Update Your Resume?